HÀ TĨNH — Two pig farms in the central province of Hà Tĩnh’s Can Lộc District have been asked to halt operations after they were found to be polluting a reservoir water near the area. Dân Trí online newspaper reported recently that Vực Trống reservoir, which supplies water to thousands of households and some 3,500 hectares of paddy fields every day, was seriously contaminated. Around a year ago, the colour of the reservoir’s water changed and the water started stinking, affecting local people’s lives and livelihoods, the newspaper reported. It’s not just the local residents who didn’t dare to use the water, even the cattle didn’t drink it. Many aquaculture farming households gave up operations after the contaminated water killed their fishes. 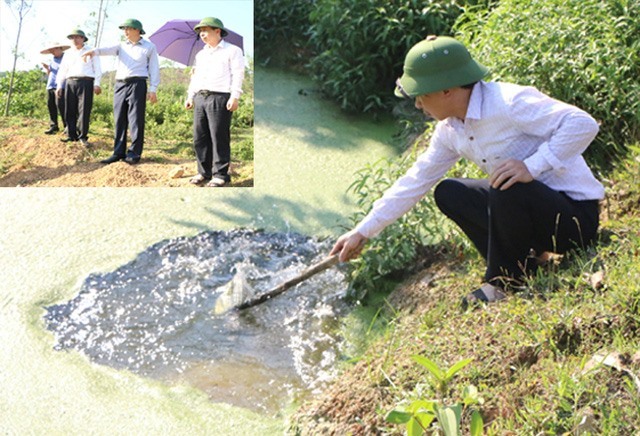 Đặng Ngọc Sơn, vice-chairman of the People’s Committee, led an inspection team to check the reservoir, and found the water cloudy and foul-smelling. The team then inspected two pig farms, which local residents alleged, had contaminated the reservoir. Inspection revealed that both farms had seriously violated post-production environmental treatments; one of the farms was found to be discharging untreated wastewater directly into the surroundings. Both farms will have to put wastewater treatment solutions in place before they can resume operations.